There is 1 shop proposing this game for download at an average price of $ 2.49. Sci-fi fans and strategy buffs alike will find much to enjoy in this fine RTS offering that mixes a compelling campaign, high levels of customisation, and deep, tactical gameplay to create a highly enjoyable experience. The story takes place in the distance future where, after a global catastrophe has left Earth reeling, three new empires have formed and which now seek to escape the ravaged planet and start a new life on another planet. 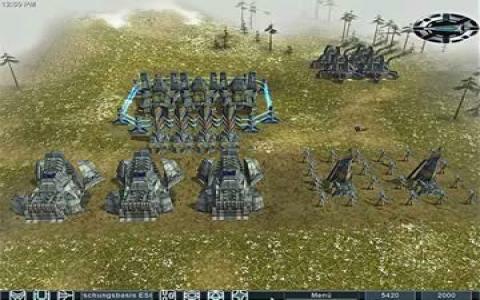 This fairly epic background material translates into fairly traditional RTS-style gameplay, with players choosing from one of the three factions and then engaging in the usual resource management and combat activities. While the concept may not be overly original now, and is similar to Command and Conquer or Starcraft, the game really scores in the way it combines all its various aspects. The story is involving, featuring plenty of twists and turns that will keep you gripped, while the ability to play as each of the three factions in their own campaign adds immense amounts of replay value. Furthermore, the complex mechanics allow for plenty of customisation and strategic approaches but without sacrificing accessibility. The wide range of units and structures add variety while the custom mission editor is also a neat addition that will keep you playing. Visually, the game stands up well, with an impressive take on a dystopian future and with lots of cool effects and nicely detailed environments. Really, there isn't much to find fault with Earth 2150, so for newcomers to the RTS genre or old hands alike, this is a great all round game. Check out the sequel, Earth 2160, or the Earth 2150 Trilogy which includes two expansion packs alongside this game. 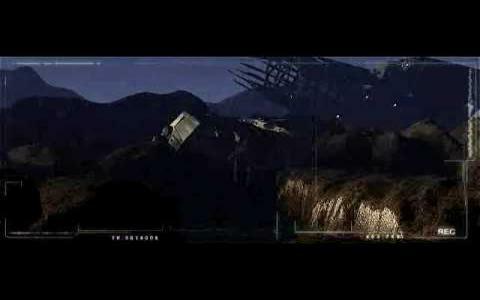 Earth 2150 is a real-time strategy game developed by TopWare Interactive and is the sequel to Earth 2140. The story of the game is simple: after years of war, the world is returning to normality altoug the planet is set to explode within a period of time and three factions fight over Earth's resources in order to build an evacuation ship in time. During game, you get to play as one of three factions: the United Civilized States, the Eurasian Dynasty and the Lunar Corporation. Each of these factions has different technology that will make the game playable many times. You have to build a base, collect resources and build an army, but you can also create custom military units, meaning that you take the body and then assign whatever combination of weapons you think it's appropiate for that unit. The graphics in the game are great and you'll enjoy the way you get little video presentations of weapons you have recently researched.